Here is another product from GreenGate’s Marie series. 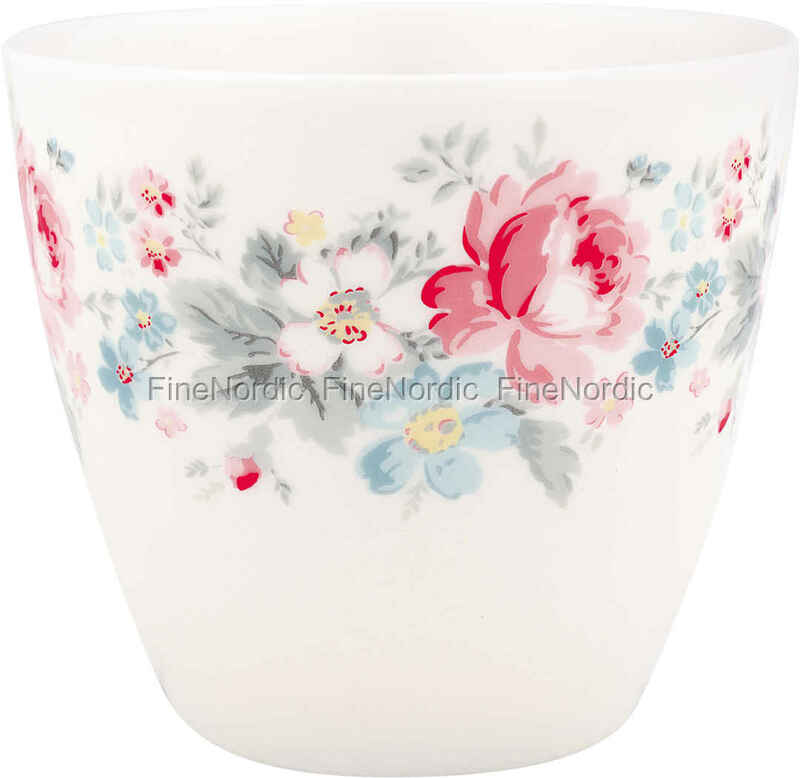 The beautiful pink, blue and grey floral design on a simple white background will make the Marie Pale grey latte cup match with all your other beloved GreenGate products. The latte cups are typically used for coffee or tea, but why not try eating some ice cream out of them during the summertime. The Marie Pale Grey design looks great matched together with other floral designs, as well as with solid colours, such as grey, pale pink or blue.